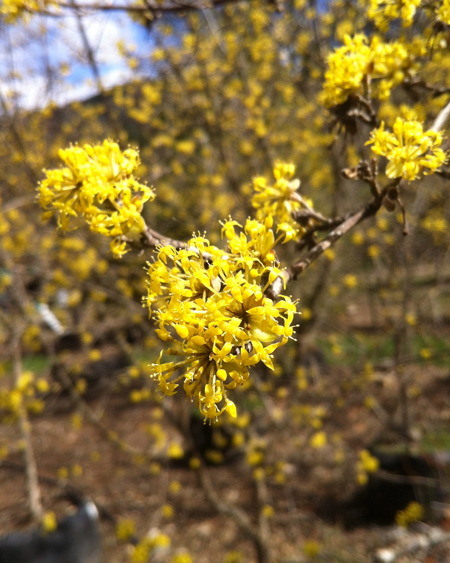 Similar to Cornus mas, this very attractive plant blooms earlier, and has exfoliating gray, brown, and orange bark. Its multi-stemmed, low-branching form is rounded, offers dense shade. It can grow to as large as 12-15ft tall and wide. It tolerates wind. Quite choice. Small yellow blossoms in late winter welcome spring and are followed by edible, bright-red fruits. Supply fertile, well-drained soil, sun or light shade, and water moderately.